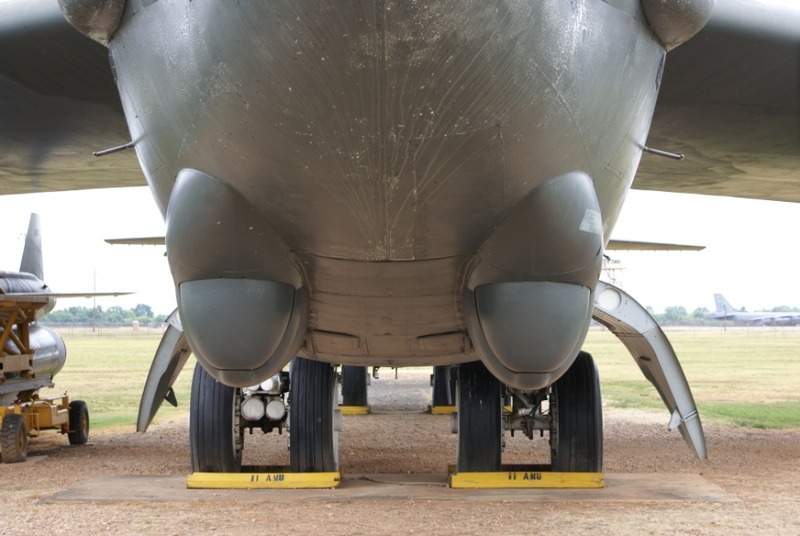 Walk-around of the B-52G's chin turrets. These turrets housed low-light television and infrared sensors which allowed precise navigation and bombing under any light conditions. I know a retired airman who serviced B-52s; he tells me that these were commonly referred to as a vulgar reference to a woman's breasts.